In 2018, I was honored to join forces with an extraordinary group of leaders of small zoos and aquariums to present a Q&A panel at the AZA Annual Conference on the unique challenges and opportunities of being a small institution. The session was well-attended, and a great energy and discussion occurred revolving around pre-determined questions and questions harvested from the live audience via text and good old-fashioned raising of hands. Although the session was 90-minutes, we still weren’t able to answer everyone’s questions. Luckily, one of our esteemed panelists, Jessica Hoffman-Balder, General Curator, has generously taken on a few of those unanswered questions providing information related to hybrid institution Greensboro Science Center in North Carolina. 1. How do you make your smaller institutions heard at an AZA level when there are so many larger institutions with a larger voice? So I’m not sure in what context this question would be referring to. In my experience, I see AZA as an opportunity for small institutions to have just as much of a voice as larger ones. It’s about being active in participation and inserting yourself in dialogue regarding topics, or striving to obtain roles in committees, TAG’s, SAG’s, etc… I actually see a good diversity of small and large institutions reps as AZA inspectors, commission members, and within the steering committees I am on. Also, being active on AZA network discussions is a great place to start. Nursing Station: We do not have an official nursing station, but currently we have a small meeting room that is rarely used by staff, but is made available to nursing mothers if they ask about a space at our front desk. They are given access to the room, and there is a discreet hang tag with the letter “N” on it that is hung on the door so that staff are made aware that the room is in use. In the room are several rocking chairs, small table, etc. Before this space, we utilized a small utility closet that we made into a comfortable spot with a single rocking chair, lamp, etc. We also have had other locations that were more private on site that became natural nursing areas such as a secluded court-yard spaces and a rarely used staff hallway. Quiet Rooms / Adult Changing Stations: Outside of the nursing room, we do not have dedicated spaces for anything else. However, if any guest inquires about this kind of need, we will gladly open up any classroom space, meeting room, or other unoccupied location to assist them. We will have a staff member “stand guard” to ensure privacy until the guest is finished. We will be adding our first family restroom to our zoo expansion in 2020 to help with this. 3. What are some ways to drive traffic during slower seasons? Being a museum and aquarium as well as a zoo, we are lucky in that we are not as impacted by a slow season as others may be. We do have a significant amount of indoor space which helps us greatly during cold or inclement weather. We do also have a large great room where we can host interesting traveling exhibits. They generally bring good numbers and we try to time these openings during fall to boost numbers and capitalize on school programming. We try to provide more program opportunities also in the slower months and make connections to holidays and snowy weather via social media to highlight fun event days or great photo ops. We also are investigating a holiday lights program for next winter, which has been very successful for other institutions. 4. What do you offer in terms of membership and/or annual pass holders? Member Benefits - Valid for a full year! Free general admission to the Greensboro Science Center (GSC). Free admission to over 300 ASTC facilities. Free or discounted admission to over 150 AZA facilities. Discounted general admission ($11.50) for guests of members. $1 off OmniSphere shows for members and their guests. A 20% discount on each purchase in the TriceraShop. A 10% discount on each purchase in The Meerkat Café. Discounts on GSC birthday party packages. Invitations, coupons and discounts to special events, exhibit openings and new OmniSphere shows. Priority registration and discounts for workshops and camps. Free newsletter and email updates. Special discounts at participating local businesses. We do it by number in party from 1-10 with price range of $30.35-$232.69 for city residents and 33.72-$258.55 for non-residents. A single ticket entry for us is normally $13.50 for adults and $12.50 for seniors and children. We do also offer a Business Membership program and details on that can be found on our website. 5. How can consultants help? The only areas where we have used consultants has been in helping us with our capital campaign and with our marketing and P.R. Though we have both development and marketing staff, these were the two areas we felt were most important in getting outside assistance. We knew we had a good product, but struggled with getting people to know about us. So far, the cost and effort have been worth it. We just wrapped up a very successful capital campaign where we far exceeded our fundraising goals. We also just closed out a record breaking attendance year and our previous record had been when we opened our new aquarium. We have seen a great rise in guests from outside our immediate community and feel we have transitioned into more of a tourist destination. 6. How do you balance catering to the local community and capturing tourist revenue? I think taking a look at your complete package of offerings is one way to balance both. Our local community is more likely to be our members and also more likely the guests to participate in our extra activities like camps, special events, and other unique programs. Gearing the promotions and advantages of these programs to our local community is our focus. For tourists, we try to focus more on our day-of experiences like ropes courses or BTS tours and focus advertising to different locales like airports and travel centers. We also try to do joint promotions with other large events that may be in our area and already drawing in an outside crowd. 7. Are you AZA accredited? Why or why not? Yes, since 2007. This was a high priority for our new director that came in shortly before this time. He had been from other AZA facilities and recognized the importance of striving for and achieving best practices which in turn create better guest experiences and increased attendance and revenue. 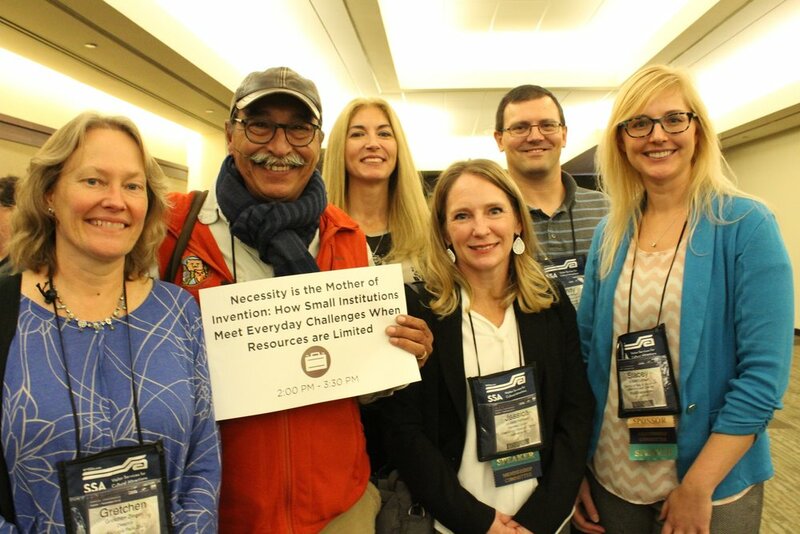 Additionally, becoming AZA accredited provides a wealth of opportunities to gain resources from other staff and institutions, work with sustainable animal collections, grow in staff professional development, and have more of a collective power in conservation and research. 8. How large is your staff? We currently have 49 FT positions and 95 part-time. 9. Do you find staff use a small facility as a stepping stone to gain experience and then leave when trained up? If so, how do you retain experienced staff on a limited budget? Certainly, some staff use small facilities as a starter place to grow their experiences. However, I think that becomes a great opportunity for small facilities to get known and recognized in the larger AZA community if you are sending well trained staff out into the larger network. I also see just as many folks hitting a point where they want to step back from the large facilities and find better purpose and meaning with smaller institutions. We personally have had very little issue with staff retention and I, in fact, was one of those that sought out a smaller facility where I felt like I could be a part of something more in my position. Your culture and community also play a huge part in retention and regardless of pay, staff will have a very hard time leaving a job they love at a place they love with co-workers they love. Finally, we also make a concerted effort to invest heavily in the staff we have. We may not draw the most experienced applicants initially, but we are very supportive of staff development and training. Some may be afraid of doing this and then losing those folks to better jobs but we have found that those staff members really appreciate the attention and effort put in to them and instead, it grows their loyalty. 10. Small facility = small advertising budget. What has worked best? Well, certainly social media efforts have been one of the most affordable and effective ways to grow our brand. We have a variety of campaigns that differ depending on the platform but include Facebook, Instagram, and YouTube the most. We have phased out Twitter as it had the lowest response rate. We also utilize a variety of print adds, primarily through key local publications like parent magazines, and our state magazine. This past year, we did hire a consulting group to help us determine where we would be most effective in marketing. Though this took a significant portion of our budget, it did also help us determine where we should and should not be spending our money and how visitors are best receiving information. We have used this data to start some more targeted media advertising through smart-phone ad beacon technology. This has proven highly effective. Also, just boots on the ground, getting out in your community, really helps remind folks that you are there. Though this takes staff time, financially, it can be very affordable to make appearances at local events. The Owl at the Table blog posts are on-going features focusing on interviews with the passionate staff from small institutions. Can you believe this summer marks ten years of my little corner of the internet talking about design and the future of zoos and aquariums? Although my posting has become more infrequent as my professional life has evolved, you--my supportive and sometimes thoughtfully critical reader--remain constant. I owe you a huge Thank You for reading my ramblings, and contributing your thoughts. For funsies, I thought we'd review a few of the highlights from the past 10 years and over 200 posts! 10. 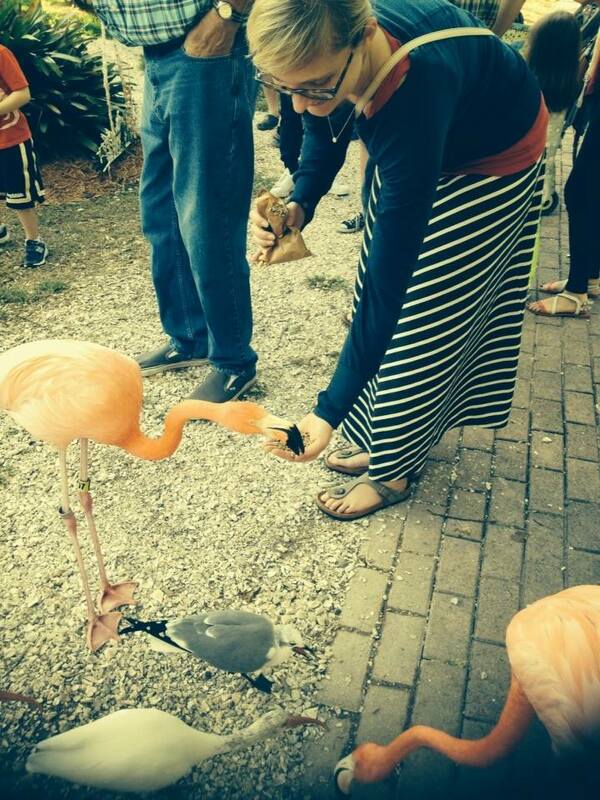 "Visitors: An Overlooked Species at the Zoo" (2013) by guest blogger and colleague, Eileen (Ostermeier) Hill. Discusses the critical importance of visitor studies at zoos, some hurdles to studies, and the role of designers relative to visitor studies. 9. "The Future of Zoos: Blurring the Boundaries" (2014) a second entry by guest blogger and obviously brilliant colleague, Eileen Hill. Powerpoint presentation with script about trends in zoos today and how they may play out into zoos of the future. Eileen proposes zoos of the future will by hybrids of multiple science based institutions. 8. "St. Louis Zoo's SEA LION SOUND" (2012). Showcasing the then-new exhibit at the Zoo including fly-thru video, photos of new exhibit, and interview with one of the architects from PGAV Destinations who helped bring the design into reality. 7. "SAFARI AFRICA! Revealed at Columbus Zoo" (2012). Announcement of the ground-breaking of the eventual AZA Top Honors in Design award-winning Heart of Africa (renamed). Includes renderings and site plan. 6. "Underdogs: The Appeal of the Small Zoo" (2013). Exploration of what makes small zoos so appealing to visitors, and meaningful to work for as a designer. Features Binder Park Zoo, Central Florida Zoo, and Big Bear Alpine Zoo. 5. "In Marius' Honor" (2014) by guest blogger and now Project Manager at the esteemed Monterey Bay Aquarium, Trisha Crowe. Trisha explores her emotional reaction to the Copenhagen Zoo's disposal of Marius the giraffe, and implores readers to support zoos, no matter your stance on animal rights. 4. "Small and Sad: Dubai Zoo's Relocation on Hold Again" (2009). Occurred to me today, should have been title "Small and SAND", but the sad state of the old zoo is what made this post so popular. Includes design plans and renderings--which I am sure are woefully out of date. Anyone have any updates?? 3. "How to Become a Zoo Designer" (2014). After about 25,000 emails from aspiring zoo designers asking similar questions, I just went ahead and wrote it up to shortcut a step... Still, feel free to email me--I always write back. Let's be pen pals! 1. "A Quick Lesson in Zoo Design History" (2008). Perhaps my second post ever, which again explains it's number 1 spot. A not-as-advertised look at zoo design history which, I have a feeling, has been referenced by many of the 25,000 students (above) in their zoo projects. Holla at me if you cited me! 10. "To Safari or Night Safari" (2008). I'm a sucker for the title. But this post examines the very slow to catch on trend of after-hours programming or extended zoo hours as a feasible method to increase attendance. Post-posting amendment: in particular, this is a great strategy for targeting adults without kids. 9. "Does Winter Have to be a Dead Zone at the Zoo?" (2013). I cheated a little on this one. I didn't actually post to DZ.com, but to my blog at Blooloop.com where many of my more recent posts have been landing. This one discusses another strategy to increase attendance by targeting the most difficult time of year for temperate zoos: winter. 8. "Zoo Exhibits in Three Acts" (2011). Storytelling in zoo exhibits, told through, what else? : a story. 7. "8 Characteristics of Brand Experience" (2018). A new one! Understanding what makes strong brands so very strong is important and applicable to new attractions at zoos and aquariums. Examined through the lens of non-zoo brands, like my fav: OrangeTheory. 6. "Interactivity and Zoos" (2013). Examining the different modes of interactivity that are available in zoos, and how they can be applied to experience. A good primer. 5. "How Animal Behavior Drives Zoo Design" (2011). Starting with animals in design can be overwhelming. What information is pertinent to a designer, and what is just interesting to know. Another good primer for learning the basics of zoo design. 4. "Chasing Big Cats: Snow Leopards and Perseverance" (2017). Being a good designer is about so much more than just having cool ideas and being able to communicate them well. Learn the qualities intangible qualities that make good designers, GREAT. Don't be afraid...hint, hint. 3. "Making Responsible Tacos: Conservation Brand Perception at Zoos and Aquariums" (2015). Adapted from a talk I gave, I examine how aspirational brand should translate to experience in zoos and aquariums using the popular taco analogy. Yum. Tacos. 2. "Five Zoo Innovations that have been around for Decades"Part 1, Part 2, Part 3, Part 4, Part 5 (2014). Again, pulled from Blooloop. A series of 5 posts examining design elements and characteristics that American zoos have been implementing for decades. This series was an angry reaction to the 'revolutionary' design of metal pods floating through a zoo in Europe. A woman scorned...publishes 5 posts to prove how you don't know anything about innovation. Ha! 1. "Zoos in a Post Truth World" (2017). What every zoo and aquarium advocate needs to consider in this continued atmosphere of skepticism, critique, and distrust. As a zoo designer, you must be aware of changing perceptions and the power we have to shape them. 1. Zoo and aquarium people are really the best people in the world. Here's to many more decades of Zoo & Aquarium design! I didn't really know what to expect from a climate change summit held on the campus of a Catholic university. But the message was no different there than if it had been held elsewhere: things are bad--really bad--but the solution is held in our own mirrors. Carl Pope pointed our three types of people who may be hurdles to environmental solutions, while Bill Nye rambunctiously described the people who he believes holds the key. Read more about the conference and these two different-but-similar keynote speakers over at Blooloop. Guided Travel with Millennials: A New Revenue Stream? With this blog post at Blooloop.com I explored the idea of creating intentional and robust travel programs with zoos and aquariums that target their widest and core audience: Millennials. Many zoos and aquariums currently have limited travel programs that may occur infrequently, are largely under-marketed, and are mostly targeted at "big pockets" spenders for nurturing into major donors in the future. I examined why a less expensive and more robust offering could prove to be a lucrative investment in resources for the organization while also aligning perfectly with mission. A snippet of my quite controversial post over at Blooloop.com about my naively optimistic wish of eliminating the US vs THEM mentality that has invaded every aspect of our world: "But my real wish, my dream, is of, “what an amazing world this would be’ if we could all join forces. We could unite over a common cause: working to protect the remaining non-captive animal populations from extinction. Let’s join together the very best characteristics from both sides of the aisle. Join the mega audience of zoos and aquariums, (with an attendance greater than all professional sports combined), with the marketing, messaging and PR skills of the animal rights groups, whose ability to incite passionate action is unrivalled. Let’s redirect our efforts for productivity, for proactivity, and stop fighting each other. We need to listen and learn; critically review our policies and procedures, create new programs, and focus. Let’s save habitats and wildlife. Because really, we’re all on this earth together, so why not be all in this together?" Zoo Zurich is one of the best zoos in Europe, if not the world. You may recognize the Zoo from its architectural ode to elephants from local modernists, Markus Schietsch Architecture. But the Zoo is much more than that. Opened in 1929 and the home of famous zoo scientist and animal behaviorist, Heini Hediger, the Zoo surprisingly retains very little of its original history. The oldest features look to be no older than from the mid-20th Century. Although many of these mid-century exhibits are now clearly out-of-date, the Zoo benefits from a gorgeous, terrain-filled site with lots of natural vegetation, and the zoo team has creatively, if not superficially, renovated the oldest exhibits, even while those exhibits are awaiting their fates at the hands of bulldozers. Since the mid-1990s, focus for the Zoo has been on innovation, expansion, storytelling, and improved husbandry & welfare, ultimately creating a clear division between the new exhibits and the older section. The new section includes an absolutely massive indoor rainforest exhibit (featuring more botanicals than fauna--proving once again, the European audience is far more patient than Americans), the previously mentioned elephant complex merging post-modernism with Asian thematic immersion (to a questionable level of success), a children’s zoo, and an under-construction African savanna. The older section of the zoo has been renovated into a passable South American exhibit, with moments of brilliance (see the parrot interpretive), and a visually interesting Mongolian steppe. They recently opened a very passable renovation of an older exhibit building and outlying exhibits focused on Australia featuring a wallaby, kangaroo and emu walk-through. Multiple koala exhibits with indoor and outdoor enclosures are also included. A few other random exhibits are mixed into the zoo for good measure, but overall, this zoo deserves your time and respect--and to keep an eye on where they are headed in the future. My latest post to Blooloop.com is now live! In this article, I explore the appeal of today's competition to zoos and aquariums: sports, games, streaming services, fitness, and festivals by looking at their common attributes. By understanding what draws people in and keeps them coming back, we can apply those same attributes to our attractions' designs--and even develop non-attraction attractions (creative marketing experiences?) that may be temporary in nature, but increase revenues and drive attendance. The spring of 2017 brought the first of two trips to Europe for me this year. My previous post shared my experiences at two of Poland’s best known zoos. This post explores two of England’s most beloved zoos, London and Chester Zoos. Having a few long-time friends from England, I’ve been lucky to spend quite a bit of time in this beautiful country. I’ve visited the south west region several times (visiting Paignton Zoo and Eden Project in the late 1990s), but as many times as I have fallen in love with London, I had never once visited the famed Zoological Society of London’s crown jewel, London Zoo. 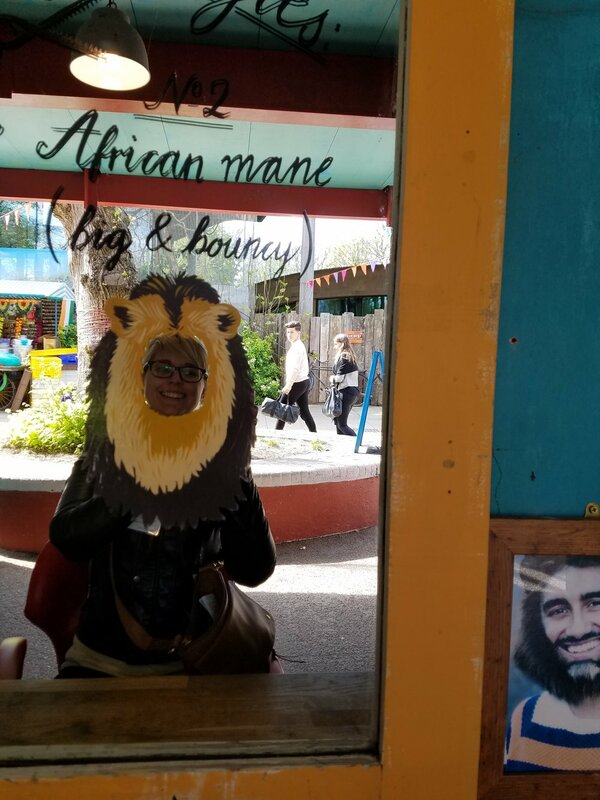 The experience of visiting the London Zoo and the Chester Zoo back-to-back allowed for some stark contrasts and very few, but very key, parallels indicating the strong trend of Euro zoo evolution toward immersive storytelling. London Zoo is considered the world’s oldest zoo still in existence, having opened in 1828 in Regent’s Park in the heart of metropolitan London. It is an urban escape, and still boasts a wide-open park-like green where modern zoo-goers picnic alongside the zoo’s retro airstream BBQ food trailers. However, the London Zoo suffers from the constraints of its past. As would be expected in such a historical city, older buildings are closely protected and preserved as historic monuments--and therefore untouchable for demolition or adaptive reuse (structures can be maintained and repainted, but only in the original palette of colors!). The world’s first aquarium still functions on grounds, and the infamous modernist penguin exhibit that is commonly held as the standard of how not to design an exhibit, remains empty and untouched. The Zoo is also terribly landlocked, and with its historic structures, its site is a patchwork of small pockets of land available for new attractions. But given these constraints (and perhaps because of these constraints), the Zoo can and should be considered one of the world’s best, with moments of experiential brilliance to rival any. The relatively new Land of the Lions was a small budget (under $10,000,000 USD) renovation and expansion that weaves visitors through a fully immersive story of conflict between Asiatic lions and the ever-expanding population centers of India. Thematic architecture is used as lion barriers and blurs the lines of people and animal spaces. And, educational moments (probably the most clever part of the entire experience) are disguised as theming. 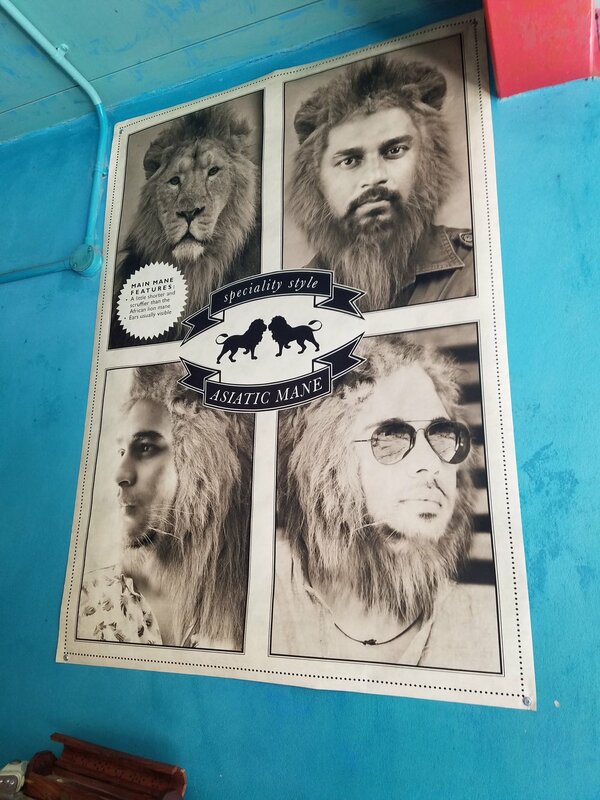 A barber shop that teaches about lions’ manes. A seamstress kiosk that shows us the biological difference between Asiatic and other lions. It’s a place to explore and be surprised, and although the immersion is heavily skewed to a human dominated space, the lions’ habitat feels natural and appropriate. As good as the Land of the Lions is, my favorite piece at the London Zoo was a thematic overlay to the historic bird house. The Victorian building, originally built as a reptile house in 1883, was renovated at some point to include multiple small bird flight cages as well as a relatively small walk-through aviary. What seemed to be a more recent renovation implemented a fairly simple graphic overlay. The striking part of the renovation was the intentional decision to embrace the building’s heritage, instead of trying to hide it. The graphic overlay features Victorian styled artwork highlighting the beauty of birds, including ingenious classic silhouette art of several recognizable bird species, as well as the use of “wrought iron” rails and benches traditionally associated with this time period. I loved the intent and the impact of this small project, but I would’ve loved to see this story implemented on a larger scale—redesigning the cages themselves to be highly ornate bird cages we would’ve seen in this era. What a platform to introduce the concept of “where we’ve been, and where we’re going” in terms of zoos, as well as our society’s evolution in regards to our relationship with animals. In contrast to the urban, historical zoo experience of London Zoo, Chester Zoo is large, sprawling, and reflective of the English countryside in which it resides. Located about an hour outside of Manchester in the north of England, in a “posh” suburb with lots of football money (according to my Brit friends! ), the Zoo is a relative newcomer, having opened in 1931. Despite its age (which relative to American zoos is quite old), the Zoo--unlike at London--is not restricted by historic facilities nor is it landlocked. Its oldest building still in use is the forgettable Aquarium from the 1950s. The Zoo may be best known for its participation in several television series since the turn of the new century, but its most impressive exhibit experience is the new Islands at Chester Zoo project. Phase 3 of the project is expected to open in 2018, but the bulk of the exhibits focused on tropical Asia where the zoo is heavily involved in conservation, opened in 2015. The massive exhibit area expanded the zoo by 15 acres and includes tigers, orangutans, visayan pigs, birds, and much more anchored by the visually impressive river boat ride. Although I personally am les s than enthusiastic about boat rides to see animals (and I didn’t get to ride this one—out of season), the aesthetic of the river running through the exhibit experience was impressive and added a lot to the immersive setting. Although visitors begin their journey through Islands in a fishing village, and eat at a large Balinese (?) building, the bulk of the exhibit is landscape immersion, rather than cultural immersion, with limited props providing a hint of location specificity. The orang exhibit featured a research hut with jewel exhibits and educational features hidden expertly amongst theming. Chester Zoo was created with the intent to eliminate bars typical of Victorian zoos, like London Zoo. So, while many of the oldest exhibits definitely feel outdated, most are broadly sweeping with shared landscape views unimpeded by visual disruptions. The Zoo overall feels like a walk through the countryside or even a quiet park in a small town. The few wide promenades that remain, dotted with generic exhibits like storefronts, are tucked away and non-intrusive. This zoo, more than any other that I have visited in Europe, felt most like the American zoos that we have come to know and love. The thing that REALLY sets Chester Zoo apart, making it one of the world’s best zoos, is its incredibly strong message of conservation. The dedication to branding and message at this zoo is unlike any I’ve seen. A visual continuity through font and graphic style ties the “Zoo Message” (as I call it) throughout the various exhibits, while still incorporating a sense of place within each exhibit through independently styled graphics and props. The Zoo Message is reinforced through small moments (like a pollinator garden along a viewing rail), eye-catching signage, videos, and even a book that can be purchased at the gift shop. What’s most important about Chester’s messaging style is that it is always approachable (visually and content-wise) and embraces family and fun with a touch of whimsy and humor. A great lesson to be remembered, because, as we know, people come to zoos (and aquariums) for a fun time that makes them feel good about spending their precious resources (of time and money). Get yourself to England to check out both of these incredible zoos! On Monday, September 11, PGAV Destinations led a session highlighting market research that explored the question "how can we affect public perception of zoos and aquariums?" The session included brief presentations by 9 panelists, including Bob Cisneros from Big Bear Alpine Zoo, Mark Fisher from Cincinnati Zoo, John Walczak from Louisville Zoo, Bill Street from SeaWorld, Chris Schmitz from Utah's Hogle Zoo, Magdaline Southard from Monterey Bay Aquarium, Kimberley Lengel from Philadelphia Zoo, Kevin Mills from South Carolina Aquarium (presented by Emily Howard of PGAV), and Stacey Ludlum from PGAV. Individual presentations unfortunately ran 20 minutes longer than anticipated, and the majority of our session audience did not participate in the workshop. However, we did have two intrepid groups discuss their hypothetical issues. Those results are below. You are a large, well-known aquarium with a large percentage of attendance from tourism. Your staff is highly respected within the industry for its innovative husbandry solutions and ability to breed and sustain longevity for its animals, but on-site market research has revealed your guests are not aware of this. You are currently designing a new shark exhibit to replace your smaller and older one that was once considered the best of the best. How do you communicate your innovative animal care at the core of your mission? You are a small zoo with steady, flat attendance in a medium-sized city (under 1,000,000 residents). Membership accounts for half of your attendance. Market research reveals that people in your community know of you, but believe the experience is meant for small children only and think of you as essentially a petting zoo. You have recently gained AZA accreditation, and all of your staff are highly skilled. Your collection includes many native species, but you are most proud of your successes in breeding cheetah and whooping crane. How do you communicate to your visitors the high level of care involved in your successes? Check back for more information on this session including write-ups of the individual presentations! I’m writing this piece in the fifth hour of the fourteen hour flight to the U.S. from Beijing. I’ve already watched two movies, had a couple glasses of wine, and did some work. 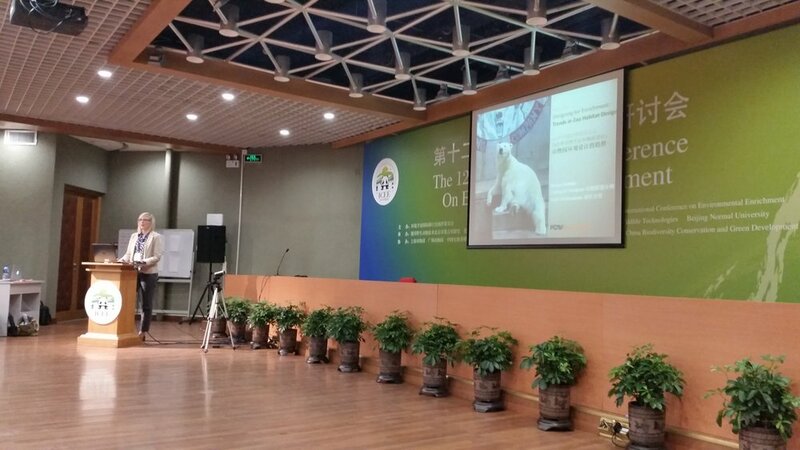 I’m reflecting on my whirlwind trip in Ordos, Inner Mongolia for the Chinese Association of Zoological Gardens’ (CAZG) 2nd annual conference, where although I was only there for 24 hours, I presented twice for a total of 5 hours. While these stats are quite impressive, the most impressive thing about this trip was the evolution that I am seeing in Chinese zoos and aquariums. I’ve been coming to China for 8 years, for projects and for exploration of the potential market for zoo designers here. Although PGAV has been fairly consistently engaged in project work in this massive country over the last decade, most of that has been related to theme parks. The sudden and intense growth of the middle class has created a thirst for leisure activities, and while museums, water parks, historic cities, natural areas, and theme parks have been highly targeted for updates and new projects, the desire for modern, innovative zoos has lagged behind. In my opinion, this is directly related to the state of Chinese society’s relationship to animals and nature: the persistent desire for tiger and rhino parts for traditional medicines; exploitation of baby animals, especially tiger cubs, for photos at zoos; the market for ivory as status symbols; the levels of pollution in the water and air. But recently, the Chinese government has dedicated itself to reversing these trends: last year’s historic ivory ban, the continued dedication to the Paris climate accord, and the highly visible campaigns to educate Chinese citizens against the use of animal parts in medicine (as partnerships with organizations like WWF). I’ve even seen a difference over the years in small things that we take for granted in the U.S.: recycling in airports; signs asking people not to waste paper to save the trees; marketing campaigns for cities like Ordos that highlight how green the city is; encouraging the use of reusable water bottles with clean water stations at airports. 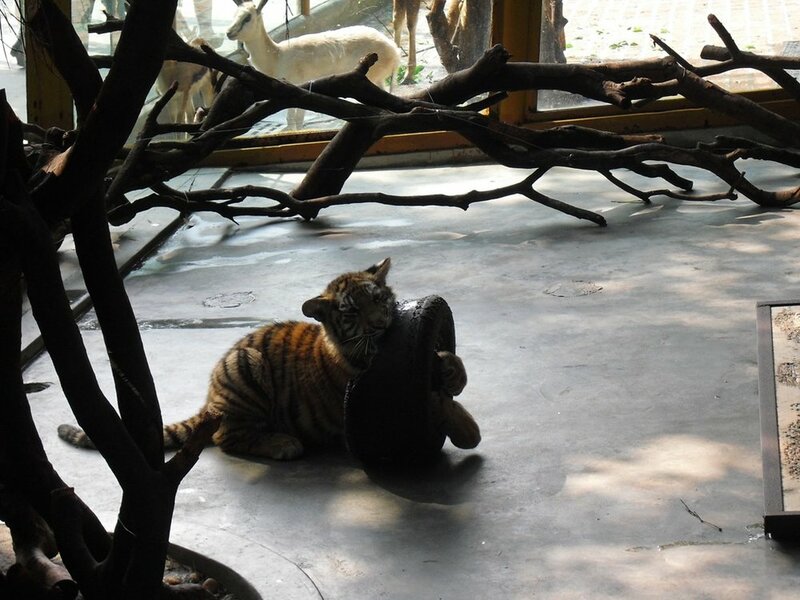 Even though I was only able to spend a day with the Chinese zoo association, I was elated to see the level of advancement in only the two to three years that I’ve been working with them. As I spoke to the crowd about creating spaces that respond to the nature of animals, not to coerce them, to allow them to make decisions on their own even if that decision means your visitors don’t get to see them easily or on each and every visit, I saw heads nodding. A delegate coming to my aid when another challenged my assertion that extra spaces like flexible yards and enrichment rooms are worth the effort and cost. The zoo that proudly shared their designs with me for three new projects--the incredible difference between the designs that had been completed only two years ago, and the ones completed within the month. The level of investment in aspects dedicated exclusively to welfare. The new center for conservation and education. The CAZG itself is advancing. The conference attendance nearly doubled in one year—only its second year. 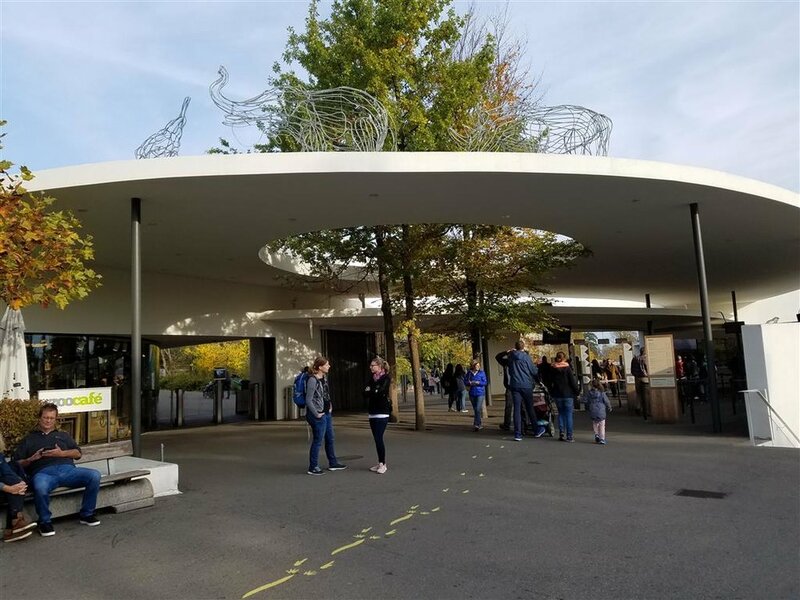 The Association has created a department dedicated exclusively to design, hiring two full-time designers to aid government-run zoos in improvements. They spent over five years creating a set of design regulations, released this year, that blow our APHIS regs out of the water.They are hungry for knowledge, and thirsty for implementation. All of this means that the evolution of Chinese zoos will continue to advance at a break-neck speed. And that’s a wonderful thing. The typical city zoos that are pervasive throughout the country are as deplorable as you can imagine. Undersized and rusted cages. Limited education focus, if any at all. Lack of enrichment or even natural substrates. Private facilities have and will continue to be at the forefront of innovation due to bigger budgets, but there are a few shining examples of upcoming change at public institutions such as Nanjing Hongshan Forest Zoo and Beijing Zoo.As long as the government continues to infuse capital into these organizations—and hopefully continue to increase that level, Chinese zoos will soon be as modern as those in the West. And, perhaps even more importantly (and as has been true throughout history), the improvements in zoos will be a reflection of the changing relationship of the Chinese people with the natural world. Last month, I was able to spend a week in Europe focusing on zoo design. 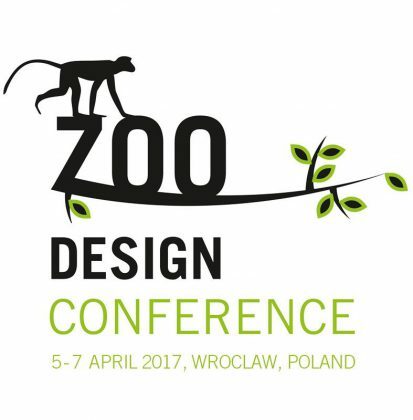 I attended a zoo design conference with many of the world’s leading designers and representatives from some of the most influential zoos from around the world. It was fascinating to see how differently everyone’s perspectives were, where their priorities lay, and what kind of risks they were willing to take. For more on the conference itself, keep any eye out for my upcoming Blooloop post summarizing my key conference take-aways. After the conference, my colleague from PGAV and I were able to visit a handful of zoos, presenting a range of experiential designs and husbandry styles. As a strategist, I visit zoos with an eye to understanding their particular brand and differentiators, instead of focusing so much on details. In my experience, every zoo has good habitats and those that need attention. It is the constant challenge for any zoo—understanding where and when to spend their limited capital budget. 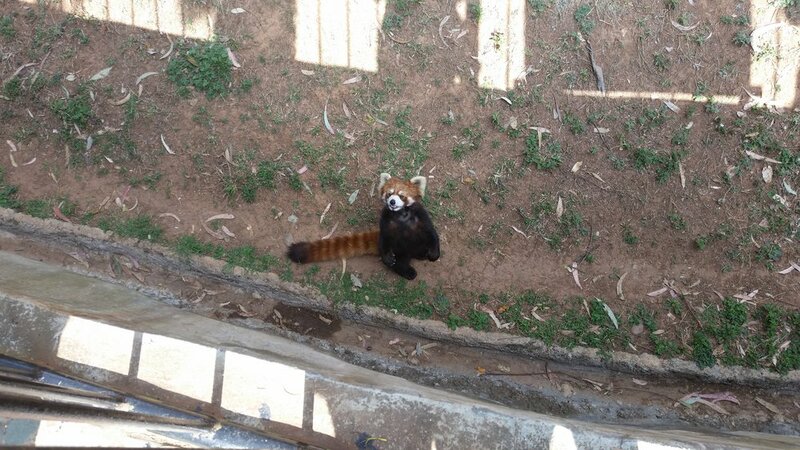 In this post, I will present to you the two zoos we visited in Poland. Zoo Wroclaw (pronounced something like “Vrot-zwoff,” although I still just mumble my way through it!) is considered to be the best zoo in Poland. It’s an historic zoo with historic structures in a fairly urban setting, but has nice site characteristics, such as naturally forested areas. Overall, this zoo is fairly representative of an average zoo found throughout Europe. It has its charms and its challenges with the reuse of historic elements, like the original zoo restaurant (turned into a reptile house) and the zoo’s first structure, a castle-like brick enclave that originally housed bears (turned into unconventional bird enclosures). The layout is confusing and a reflection of its long history, and the intentionality of food service and retail could be improved. The biggest lesson of this zoo is, however, the fact that many European zoos have not yet moved beyond their fascination with big A architecture—architecture for architecture’s sake, rather than serving a purpose for storytelling or supporting animal welfare. The Afrykarium, opened in 2015 and designed by local architect arc2, is a massive indoor Africa aquarium experience located at the heart of the zoo. Its expansive, monolithic black surface can be seen from most places in the zoo—and it’s not a good thing. It is not human scale; it does not feel inviting; it does not give a clue to what is held inside; it is in complete contradiction to the character of the zoo. Once inside, it is clearly apparent that the architects had never created an animal habitat before. Although the habitats are quite spacious and in some instances, quite complex, the ability to recreate a natural habitat indoors is an art that takes many years of practice. 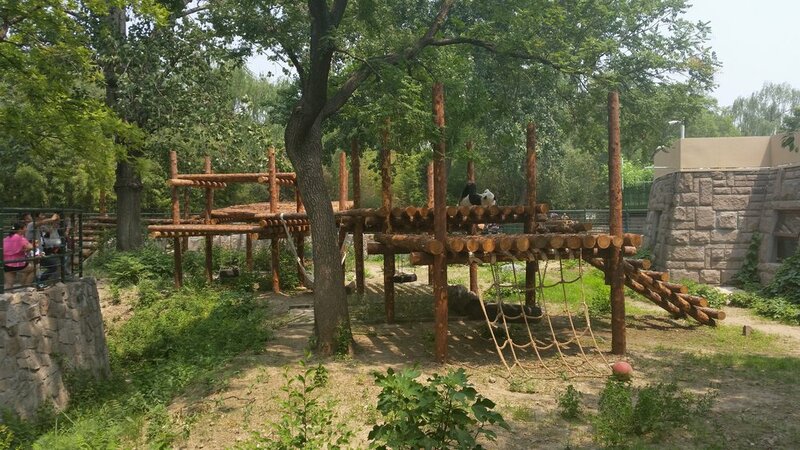 This was very much an amateur project, and at $60 million, an unfortunate first attempt for the Zoo. Gdansk Zoo, located in a city park just off the coast, is a humble zoo that truly benefits from its natural surroundings. The habitats are (mostly) large and naturalistic, many filled with trees and vegetation. More than just the aesthetic benefits, the Zoo utilizes the site, located at the base of a low mountain range, to tap into a natural supply of fresh water for the habitats. Although none of the exhibits contain underwater viewing, the water is regularly tested to meet quality standards, and is filtered naturally through a series of enhanced wetlands before moving into the city’s sewer system. The habitat barriers throughout exemplify the willingness to take risks that is characteristic of European zoos. Many exhibits here appear to have only hot wire as a barrier, and those with actual barriers, tend to be lower or less robust than what we would do here in the US. There are even places where hot wire is located to impede GUESTS rather than to stop ANIMALS. For example, the tiger caging is surrounded by hot wire on the guest side, with a hand rail along the guest path. A sign warns guests to not touch the hot wire, and also to not get close to the tiger enclosure. However, this zoo has a comfortable, park-like feel that welcomes guests to take their time and stroll. This is a very traditional approach to zoo design which generally is less appealing to me, but given the natural beauty of the site, the use of natural materials and vegetation within habitats, and the size of most of the enclosures, this zoo has a certain familiar, comfortable charm. My newest blog post at Blooloop.com has just posted! This post, again inspired by my recent travels to India, explores the validity of "just go see animals in the wild" as an argument against zoos. It has sparked some interesting conversation on LinkedIn, so go check it out, here. 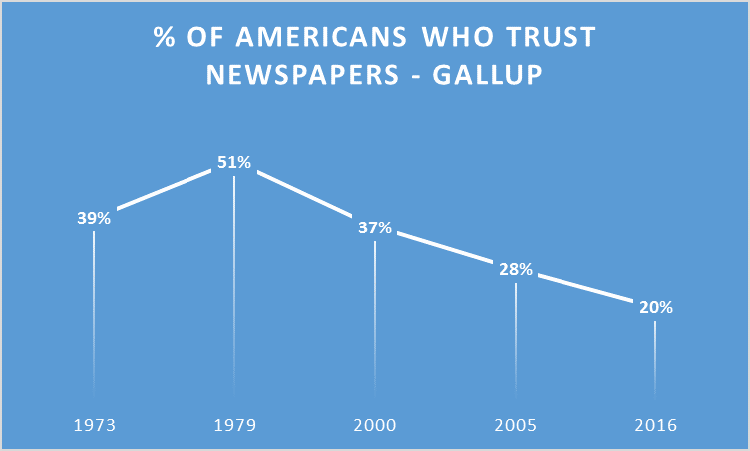 We all know about 'fake news' and we should all be aware of the growing distrust of anything big: big media, big government, big business. How does this skepticism affect the authority of zoos and aquariums as knowledgeable and reliable sources of information? How do we counter the growing culture of concern about zoo and aquarium animal care? How do we prove the validity of these institutions to exist at all when, it seems, logic and reason has all but left the building? I explore some simple ways to build and retain trust with our market and maybe even gain broader audiences in my latest Blooloop.com blog post. Read it here. "We are at a Precipice of Zoo Evolution"
Some of you may have noticed that I have been been away for a while. I haven't been updating this blog as much as I'd like. Or, in fact, at all. I'm hoping that 2017 will bring with it a renewed dedication to the blog--and with that, a renewed connection with you, my reader. Several exciting things have happened since we've last talked. The biggest is my change in position at PGAV Destinations. I've been promoted to Director of Zoo & Aquarium Planning and Design; an honor I am humbled and invigorated by. As part of this position, I will be continuing to strategize our approach to the future of zoos and aquariums, as well as lead our efforts to spread into international markets. Both of these will likely trigger new posts as I continue to ruminate on the challenges and opportunities facing these beloved institutions. The second biggest thing in 2016 was my small post in the world-renown Washington Post's Animalia blog. Again, I was honored to be included as an expert in the field, considering the future of zoos. If you missed it, take a look here. The third biggest thing in 2016 is simply the start of something bigger, I hope, to come. PGAV in general has been working in China for many years, but we recently made the strategic and mission-based decision to specifically target this market for zoos and aquariums. I intentionally use the word 'mission' as we believe, not only is this market significant for our long-term business development as a firm, that the work there is a reflection of our values as a firm. We deeply believe in making a positive impact on the world with our work, and helping to shape the future of society's relationships with animals is exactly that. In China, as with many things, society's view of animals is evolving quickly. We know the impact zoos and aquariums can have on that view, and in shaping people's understanding of personal responsibility in saving the planet. 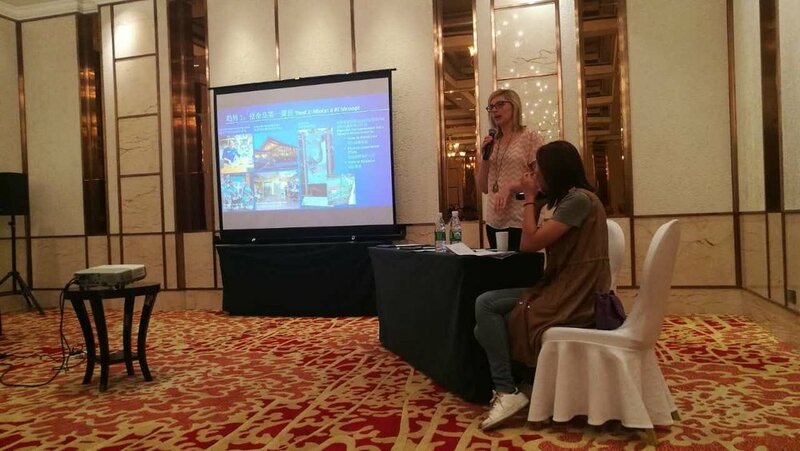 Last year, we began a relationship with the Chinese Association of Zoological Gardens which will allow us to forge new relationships zoos and aquariums seeking education on animal wellness and visitor experience design. I’ve always been nervous about meeting new people. Socializing is not my natural state. I hated Santa--coming into our grandparents’ house, demanding me to sit on his lap. I’d run and hide under the dining room table when I heard that jolly ho-ho-ho. My stomach does flops thinking, not about the presentation to 300 people, but of the awkward mingling with conference attendees and fellow speakers before and after. I avoid parties where I don’t know at least three people closely (I gladly host them, happy in the knowledge I can always escape into hosting duties such as serving food or MCing a game). Spending three weeks on a frigid Indian mountainside in December with a handful of strangers who mostly speak languages other than my own was quite possibly the scariest thing I’ve ever attempted. This post is about leaving your comfort zone. A critical element of personal development—and more importantly, of becoming the best designer you can possibly be. That morning arriving to Leh, after thirty hours of travel and four flights, I was not ready to sit and drink tea with five strangers—in a country I’ve never been. We made small talk about how the flights were and where we are from. We weren’t sure what kind of tea to drink. What is Masala? Is it with goat’s milk like my friend warned me of? How much caffeine does it have? Do I need sugar??? I didn’t know who actually spoke English and therefore could handle me asking them a question, and who would look at me panicked not understanding what the tall blonde American lady is demanding! I was tired, cranky, but also excited to finally be here. To finally be on the hunt for the elusive snow leopard. Several days later, after “adjusting” to the elevation of Leh (around 11,000’) and after spending a day together birding around the Himalayan foothills surrounding the town, we loaded up the SUV with our gear to hit the mountains. We headed to our camp in Hozing Valley. Situated among mountain ridges between 12,000 and 13,000’, our base camp consisted of three small sleeping tents (one for each of us), and two larger mess-style canvas tents—one serving as kitchen, one as the dining room. The dining tent had a propane heater; the kitchen had a cook and a cook’s assistant. We had a simple pit-toilet outhouse—a hole in the floor. We had no running water, no heat in our sleeping tents. It was December, and it was cold. Very cold. The coldest night was about -35 F.
The days were filled with hiking nearly vertical slopes among boulders and on gravelly sheep-made paths, to sit in the sun on ridges overlooking the valley. We’d sit for hours, scanning the rocky cliffs with binoculars and spotting scopes. We’d layer up for the frigid morning walks starting at sun up—before the sun passed over the ridges, when accidental water spills turned instantly into icicles. Some mornings--the coldest mornings, I’d be wrapped up so thick, my shadow looked like an astronaut: two wool base layers, two pairs of snow pants on my legs; a wicking shirt, two wool base layers, a fleece vest, a fleece jacket, a down jacket, and a ski jacket on top; a scarf; two hats (one a beanie, and one a thick, (faux) fur-lined Nordic thing); three pairs of socks; a pair of wool gloves beneath a thick set of mittens. At 10:30am, the sun came up over the ridge--its warmth allowed us to remove layers, and caused our feet to sweat as we trekked up several hundred feet of steep slope in astronaut gear. Then, when the sun found its way behind the ridges again at 3:30pm, our toes began to numb as our sweat-soaked socks and boots literally froze. It was fun. I definitely lost 5 pounds. But the reward was delivered on the third day: a snow leopard! The build-up to the sighting was screenplay perfection. Our trackers spotted a blue sheep (the snow leopard’s favorite prey), dead on the ridge above our camp. They inspected the frozen carcass and found no obvious signs of trauma, just a dribble of blood at the corner of his mouth. Certainly within the realm of possibility of a snow leopard kill. Later, a local reported snow leopard tracks on the road leading to our camp. Trackers dispersed across the valley, scanning the rocky ledges and cliffs with spotting scopes. We sat quietly scanning, until one of the trackers came running down a steep hillside, and delivered the news: a snow leopard. His (we assumed he was a male, although no one could confirm) kill was located just 150 yards from our camp—a very, very lucky chance occurrence. We watched him for four days, as he stayed to feed on the frozen carcass, fully within view. During that time, we watched patiently as he slept in the sun. And slept in the sun. And slept in the shade! And slept in the sun. Someone always had their eye on the lens, watching. And when he shifted position, we’d yell, “Head up!” and everyone ran to the scopes. He stretched like a housecat, and curled his long tail around him, using it as a pillow. We’d squeal and coo, like children. We’d celebrate every evening with a toast of cheap brandy, before heading to bed at 8pm. We became compatriots in battle, bound by one, big, fluffy kitty cat. The trip was 12 days in the Himalayas, split between two locales. We stayed at our tented camp for eight, adjusting the itinerary due to seeing the leopard. We also stayed at a homestay for the balance, where the accommodations were slightly more luxurious, but still with limited heat, and no indoor plumbing. At the end of the trip, we said good-bye to the local guides and staff (five of them), and the couple from Spain (who were the only paying tourists other than me) departed. My tour guide, Marta, and I headed onto Talla and Bandhavgarh to search for tigers. The accommodations there were absolutely luxurious with toilets and showers, a real bed, and a space heater. And the climate was balmy at 55-65 F. We had an amazing day and a half exploring Bandhavgarh Tiger Preserve, where 65 tigers reside in 172 square miles. Chances of seeing tigers is slightly better than seeing snow leopards in Leh, yet we saw only one, and only for five minutes. Even so, my trip was blessed with wildlife. Everyone we talked to spoke of how lucky we were. Most people see a snow leopard on our itinerary, but they are usually much, much further away, and for only a few minutes. We saw two (the second was just a brief interlude—a more typical tourist experience), and we saw a tiger. I like to think this luck was a reward for my bravery. For not cancelling the trip when I couldn’t find a travel partner. For not chickening out--knowing that I get cold very easily and don’t like curry (especially now!). And it reminds me that good things generally come from sticking your neck out. For many years, my annual reviews at PGAV consistently pointed to one major downfall of my performance: not being assertive enough. I realized in India—as I pondered if I really knew how to identify frostbite—that I had become quite assertive. I ‘stopped asking for permission, and started asking for forgiveness.’ And many times I failed, but many more times, I didn’t. It was more than not failing. It was succeeding. Taking chances and not waiting for the “perfect time” has changed my trajectory in my professional life. I always think about design from the options that we haven’t yet tried. I explore the crazy ideas that seem, on first glance, unrealistic. I don’t back away just because there is a potential negative—because there might also be a bigger positive you don’t yet see. However, it doesn’t mean we waste time going in never-ending circles. I’ve become strong enough and brave enough to make decisions based on logic, reasoning, and a little gut—and run with them. And you should too. Step out into the cold, or into a room full of strangers, every once in a while. Speak up. Take action. Take a chance… and maybe you, too, will be blessed with big cats. Check out my blog post from Blooloop on the design process and thinking behind my favorite little zoo that could:Big Bear Alpine Zoo. Take a look here. This challenge comes down to brand. Brand is so much more than a logo. It is the perception that lives in your customer’s mind. It is the accumulation of the marketing messages you put out PLUS the experiences your customers have related to your organization. And these experiences are not limited to what they see or feel while on-site; it is also what they hear from their friends and family, what they read online, what they see on social media. The experience is the wildcard—the intangible that affects brand perception; the piece of the brand puzzle that we don’t truly own. But, we can influence experience by infusing brand into every aspect of the on-site experience. Because it is more difficult to control and more often overlooked by institutions, experience is the most important aspect of brand to address today at zoos and aquariums. Don’t believe me? Let’s take a look at a simple example of experience influencing brand: Taco Bell vs. Chipotle. Both restaurants offer similar products: fast Mexican. But we all clearly understand that there is a difference between the two. This comes down to how each differentiate based on a clear definition of and dedication to brand. Taco Bell is a value brand, catering mostly to a young market (Generation Z & young Millennials) through efficiency, and vibrant, bold marketing. Chipotle, on the other hand, differentiates based on quality—both in food and in guest experience. Chipotle espouses social and environmental responsibility through fresh, locally sourced ingredients and face-to-face interactions. Gone are drive-thrus and ordering from a disembodied voice in a nondescript box. Chipotle requires you to park your car, walk into the store, stand in line with other customers, order from an actual person, and has built its menu on the idea of customization. You get exactly what you want, from a real person, giving you real food that you can smell and see being cooked. And it’s done fast. Chipotle knew that if they wanted to differentiate their brand from Taco Bell, they had to change everything—including the experience. They had to change the paradigm of tacos. r products. Taco Bell competes against similar experiences. They compete against the McDonald’s, Burger Kings, and Jack-in-the-Boxes of the world. But how does this relate to zoos and aquariums? Let’s start with brand perception. As a whole, what do people think of zoos and aquariums today? Are they thought of in the same way as more traditional conservation organizations like World Wildlife Fund or Sierra Club? Perhaps more importantly, should they be striving for that association? Or, should they be differentiating themselves into a new brand that reflects who they are in a more meaningful way? They are different to begin with. They have animals that people can connect with in a deeply personal way. They have visitor experiences. They have tacos. The question is: what kind of taco do you want to be? The Fun Taco? Or the Responsible Taco? Today, zoos and aquariums are, by and large, Fun Tacos. They provide good family experiences. Wholesome days out. But, as Responsible Tacos, they’ll do that and more. They’ll provide real conservation impact through in situ programs AND opportunities for guests to get involved and get educated. They’ll make conservation education a key goal for ALL guests, not just for those who show extra interest. In order to become Responsible Tacos (and be recognized as such), zoos and aquariums must change the paradigm of experience. You must realize that every moment your guest spends on-site is an opportunity to convey brand, tell stories, and educate. That every element of the physical incarnation of your organization reflects your brand’s perception. Because brand and brand perception is not JUST about your marketing message, but also inherently about experience. Check out my newest article, "What Jurassic World Teaches Us About Zoos," written with colleague Eileen Hill, for InPark Magazine. InPark has an historically theme park centered readership, and this article focuses on how attractions across the spectrum are learning from each other. Also, dinosaurs!! February's addition is near and dear to my heart as it's the PGAV-designed Sea Lion Sound at Saint Louis Zoo. This exhibit won a Significant Achievement Award from the AZA, and features both an underwater viewing tunnel and an immersive theater. Check it out--here!